Get Networking Now! Is Sacramento's Premier Professional Networking and Business Development Organization! A Host of services Include: Networking Events, All About Referrals Group, Classes and Trainings, Social Media Strategy, Customized Facebook Fan (or "Like") Pages, Networking Consultation and Training, Customized Calendars for your website, Event Promotion, Advertising Services, Event Planning and Co-op Marketing opportunities! 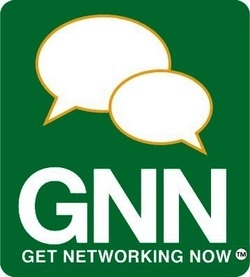 Networking can happen both on and offline by attending our events and visiting GNN Online, a new social networking site! Currently, we have one "Business Development Group" that meets in Roseville, CA. This is an intimate group of small business owners committed to helping one another grow! We meet at "A Dash Of Panache" on Veronon Street in Roseville, CA every OTHER Friday morning at 8:30am. OUR GOAL: is to stimulate small business growth within the Sacramento area by providing opportunities for businesses to work together for success!